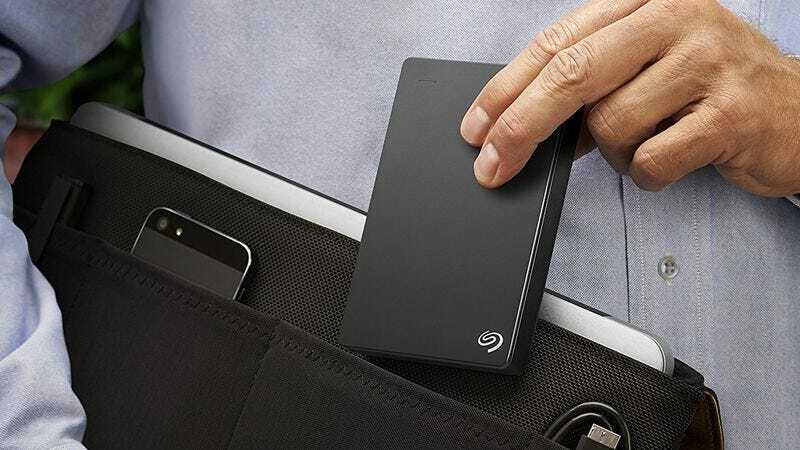 Whether you need to be better about backing up your computer, or are just so excited that the PS4 is finally adding external hard drive support, you can get a Seagate Backup Plus 4TB drive for just $110 today for Prime members on Amazon, one of the best prices we’ve seen on a drive of that capacity. You don’t see a ton of products on Amazon with over 5,000 reviews, but this 1 HP Waste King model manages a 4.6 star average from a boatload of customers, and it’s marked down to $100 right now on Amazon. We’ve seen it slightly cheaper on a handful of occasions, but this is the best deal since the holiday season, and definitely on the low end of its price range. If your kitchen or bathroom sink takes too long to get hot water from your existing water heater, there’s a surprisingly simple solution: Give it its own water heater! This 2.7 gallon Bosch heater installs directly under your sink, and plugs into a standard power outlet, giving you instant access to all the hot water you need. Its current $158 price tag is an all-time low on its own, but an additional $10 clippable coupon on the product page makes this deal even sweeter. It might seem a little indulgent, but waiting 30 seconds for hot water multiple times per day really adds up. No matter how great your kitchen knives are, they all need some tender loving care from time to time. This $8 sharpening tool includes two V-sharpeners, a fold-out sharpening rod, and a ceramic sharpening edge for serrated knives, all in a handheld package that can fit into any kitchen drawer. If you still aren’t convinced, check out the reviews, where nearly 3,000 Amazon customers have given it a 4.6 star average. Aukey seems to have solved that with an ingeniously simple suction cup on the bottom of its new stand. It’s a little thing, but you’ll appreciate it every night, and what’s $6 to someone who spent $270+ on an Apple Watch? You could sit quietly in a chair, staring at a wall until the moment Red Dead Redemption 2 comes out, or you could pass the time by replaying the original Red Dead Revolver, available on PS4 for $10. J.B. West, chief usher of the White House, directed the operations and maintenance of 1600 Pennsylvania Avenue—and coordinated its daily life—at the request of the president and his family. He directed state functions; planned parties, weddings and funerals, gardens and playgrounds, and extensive renovations; and, with a large staff, supervised every activity in the presidential home. For 28 years, first as assistant to the chief usher, then as chief usher, he witnessed national crises and triumphs, and interacted daily with six consecutive presidents and first ladies, as well as their parents, children and grandchildren, and houseguests—including friends, relatives, and heads of state. J.B. West, whom Jackie Kennedy called “one of the most extraordinary men I have ever met,” provides an absorbing, one-of-a-kind history of life among the first ladies. Alive with anecdotes ranging from Eleanor Roosevelt’s fascinating political strategies to Jackie Kennedy’s tragic loss and the personal struggles of Pat Nixon, Upstairs at the White House is a rich account of a slice of American history that usually remains behind closed doors.